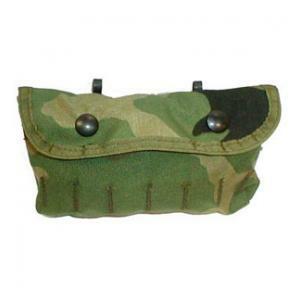 This shotgun shell pouch is made of heavy nylon. It has a snap closure, elastic hoops to hold shells and two clips for belt attachment. It is 7"x4-1/2".